Bangkok: The Pacific Asia Travel Association (PATA) today released PATAmPOWER, a real-time travel data platform that travel industry professionals can use on their mobile devices. PATAmPOWER, which was created in HTML5, can be used on tablets such as the iPad, smart phones and on personal and desktop computers. The latest information such as aviation passenger flows, flight capacity and frequency, hotel occupancy, social data and consumer trends is now available through PATAmPOWER. The data can be shared with fellow employees and colleagues through social media and email. Travel professionals can export PATAmPOWER graphics into reports and presentations. Users can download or print the info-graphics and data to create their own analysis and reports. 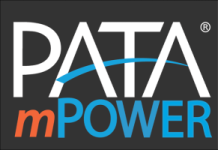 PATA said a key benefit of mPower is that it is dynamic and can provide customized information to suit user needs. It is available 24/7, as long as the user has an internet connection. The new platform contains a wide selection of data. For example, PATAmPOWER allows travel professionals to see visitor expenditure in a given destination, average daily expenditure and expenditure by item (such as meals and shopping). Forecasts of future tourist expenditure in key markets and segments are also presented. PATA developed PATAmPOWER with Flare Communications Sdn Bhd in Malaysia. For the content, PATA has aggregated and integrated travel industry data and trends from partners such as STR Global (hotels), IATA (aviation), national tourism organizations (traveller numbers), ComScore and Sinotech (technology and social data). Technology data in PATAmPOWER provides users with destination insights such as the percentage of internet and mobile device users, time spent on travel websites and the top travel web sites visited. 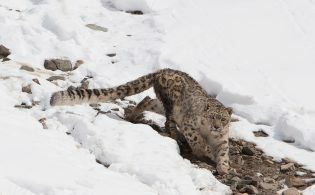 Full content in PATAmPOWER is available to all PATA members at http://mpower.pata.org until April 20.